In addition to our core Influencer Identification, Engagement & Measurement Programs, we’ve developed a series of additional modules and services that may be more appropriate for you. Our latest is Influencer Exec. Benchmarking. Based on our award-winning offline, online and social influencer methodology, we recently launched a new subscription service by which companies can have their chosen executives benchmarked for influence against each other, or against execs from competing companies. 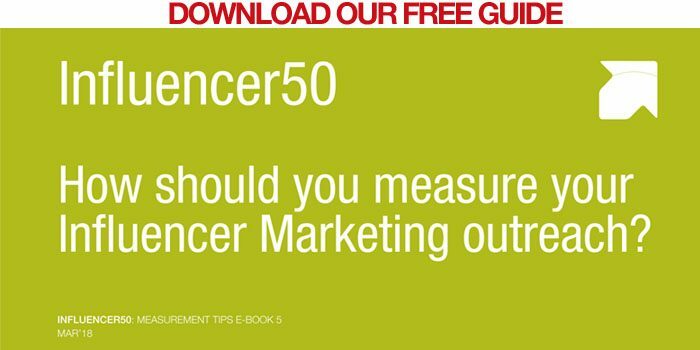 Influencer50’s approach to Influencer Identification differs from those of other ‘influencer’ companies in its focus on real-world prospect & customer influencers rather than the more trendy ‘blogger influencers’. Each executive is rated on eight criteria – Market Reach, Frequency of Impact, Expertise, Persuasiveness, Thoroughness of (customer) Involvement, Peer Group Citations, Online Connectedness and one custom criteria (selectable by each client). Each of these criteria is applied according to their ‘customer influence’ ability. Our clients are frequently as interested in how their own execs fare for influence as they are in who their company’s external market influencers are. Whether for performance measurement, recruitment or marketing outreach purposes, an executive’s personal influence has become a vital factor in how one organization can out-compete its rivals. Over three-quarters of B2B industry marketing heads rate their industry sector’s main forums & communities (both online and offline) as very important in influencing their prospects. And your customers too agree communities are influential on them. According to InformationWeek, special interest communities featured in the top five most likely sources of vendor information for prospective purchasers (both at initial problem scoping and at vendor choice stages). Yet less than one-third of those vendor marketing heads are confident their company has ongoing, proactive relationships with their top communities. So you really need to know which online & offline communities are the most influential in your sector. Which you should monitor, which to ignore and which maybe to join. Where are your industry’s most important conversations going on and who’s instigating them? And it’s not just about which communities have the most members. Are their members those people moving & shaking the sector or are they just … followers? Which of your sector’s top influencers are members? And what should you do to engage with those people once you’ve identified the most important ones? Our new Influencer Communities subscription service answers all of the above and more. In 2012 we set up our first Influencer Communities program to address the increasing interest in influential offline and online communities, and not just influential individuals. We’ve now made this service available as a monthly subscription model to both vendors and agencies. Our White Paper WP#18 is also on Influencer Communities. Download it here. Slipstream is our offering specifically formulated for Small / Mid-sized Companies and Start-ups who want to know who their top influencers are but don’t have the resources to manage 50 or more individuals. Slipstream identifies just the top 30 influencers within a chosen marketplace, and bundles our Initial Perception Audit into the offering such that our clients immediately know each influencer’s opinion on them from the outset. We put together a concise, limited scope outreach program which our client then executes, and we even include a standard functionality InfluencerTracker Dashboard within this Program. It’s everything you need to get your arms around your most important influencers. A Slipstream project duration is typically six weeks. Our web-based client-secure InfluencerTracker dashboards are easy-to-use, proven and secure, allowing you to track each influencer’s online activity, plan your outreach activity, share your program materials, manage your team’s contact with them and report on your program’s successes back to your senior management. Each dashboard is client-specific and incorporates pages for Overview, Summary, Top Influencers, Methodology, Outreach & Measurement. We offer Lite & Premium versions of these dashboards, both available to vendors who have not commissioned our Identification or Engagement Programs and who simply want to track their own named influencers. The Lite version has basic functionality and is free, while the Premium version has greater functionality for a small monthly subscription charge. Or if you prefer, just call or email us at the address in the site footer below.